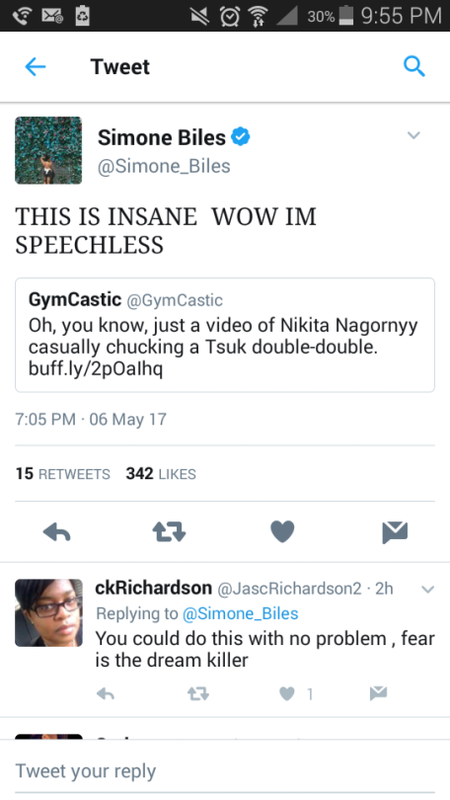 A Complete Failed Attempt On A Shaposh On Bars (GIF). Ukrainian WAG junior Anastasia Bachynska (2003) (GIF). Iordache's And Ponor's Medal Winning Beam Routines In Cluj (GIF). Eythora Thorsdottir Displaying Her Fierce Face In Cluj (GIF). When You Place Fourth, And It Feels Like Gold: Cluj 2017 (GIF). Nabieva + Salto: Nabieva Vs Eremina (GIF). 2017 European EF Champions: Men & Women (GIF). Angelina Melnikova's Reaction To Her Floor Gold Winning Score In Cluj (GIF). Iordache's Reaction To Crowd Chanting her Name In Cluj (GIF). Aly Raisman's Cute Tweet About Catalina Ponor. Don’t Be Surprised I Will Still Rise: Angelina Melnikova: 2017 Euro Edition (GIF). 2017 European Champions' Reaction (GIF). Mustafina 2011 & Eremina 2017 - Spin + Fall Out of Spin + Choreo (GIF).